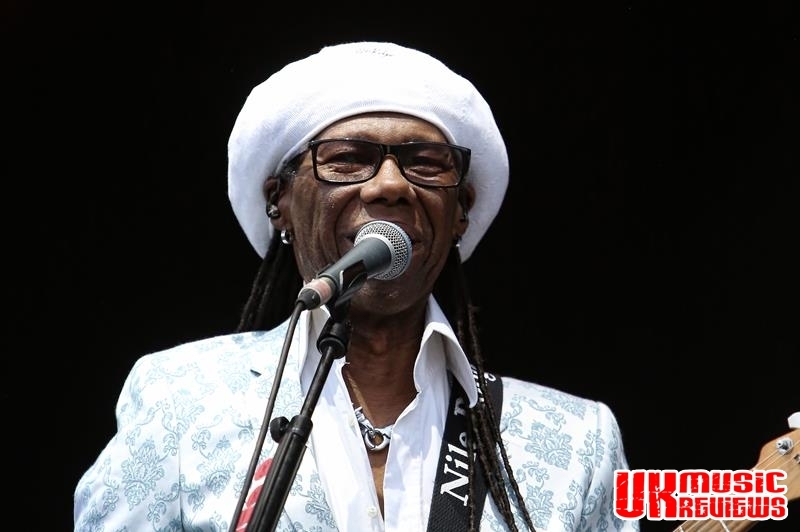 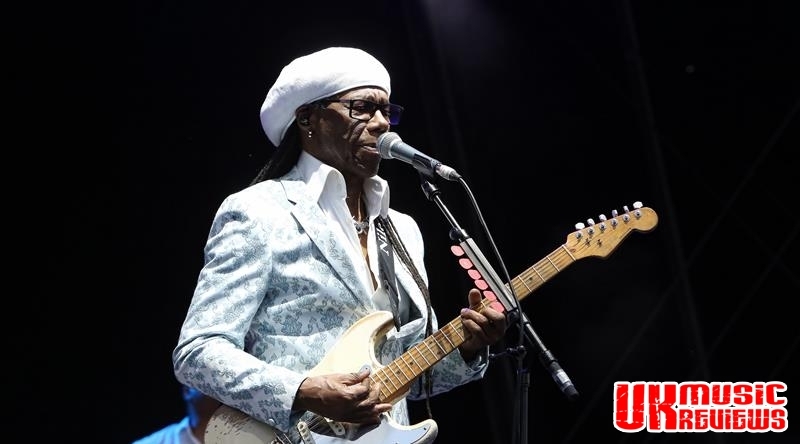 Nile Rodgers & Chic performing at Belvoir Castle Nottinghamshire on Thursday 19th July 2018. 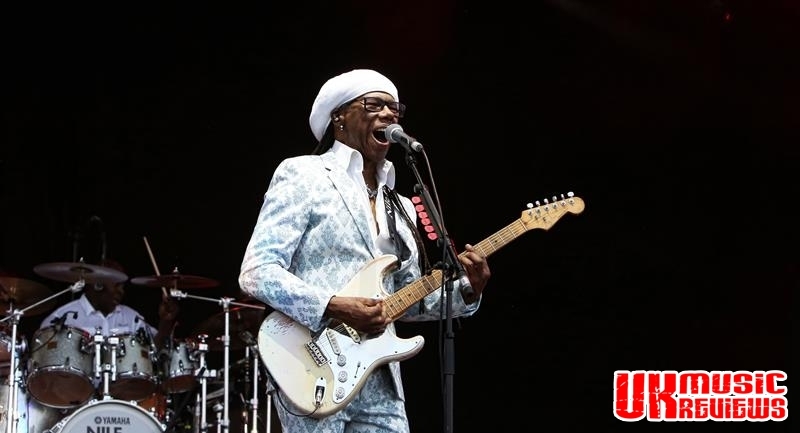 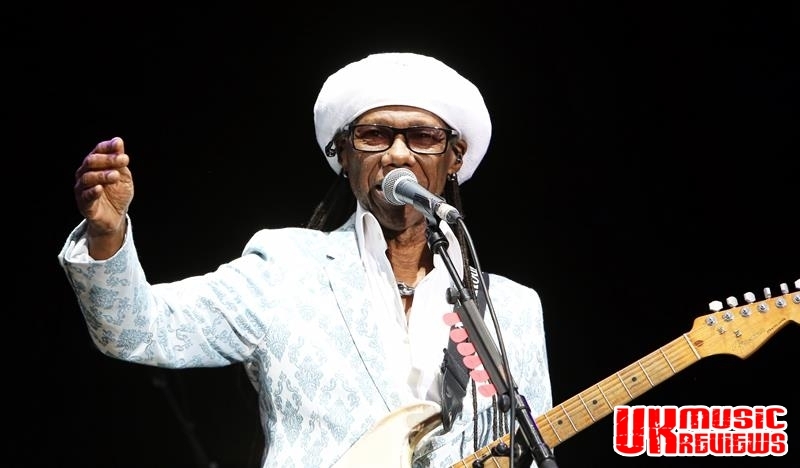 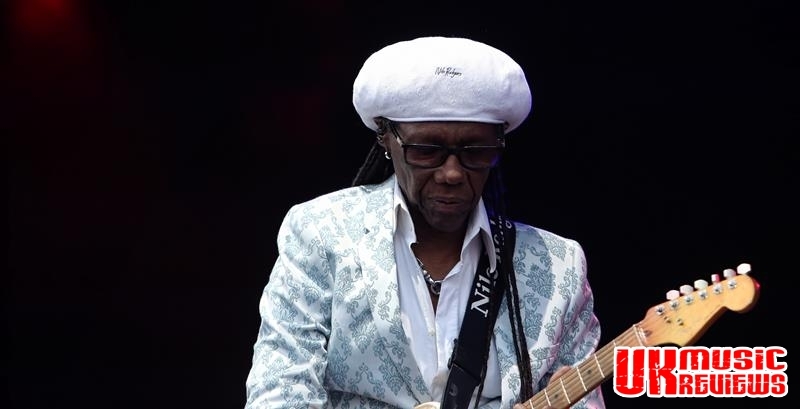 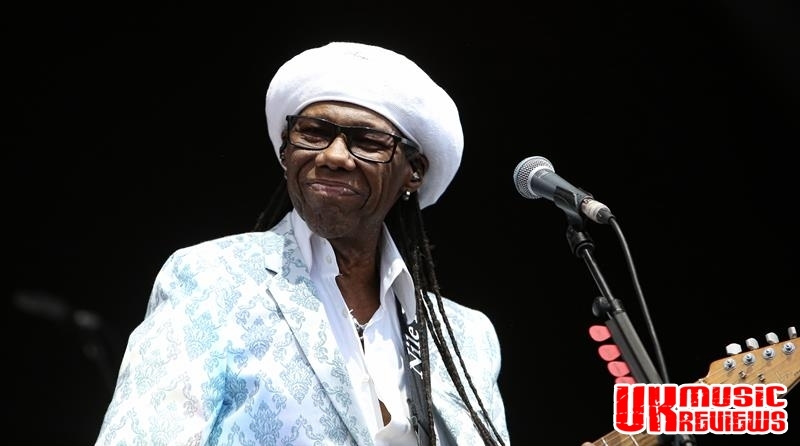 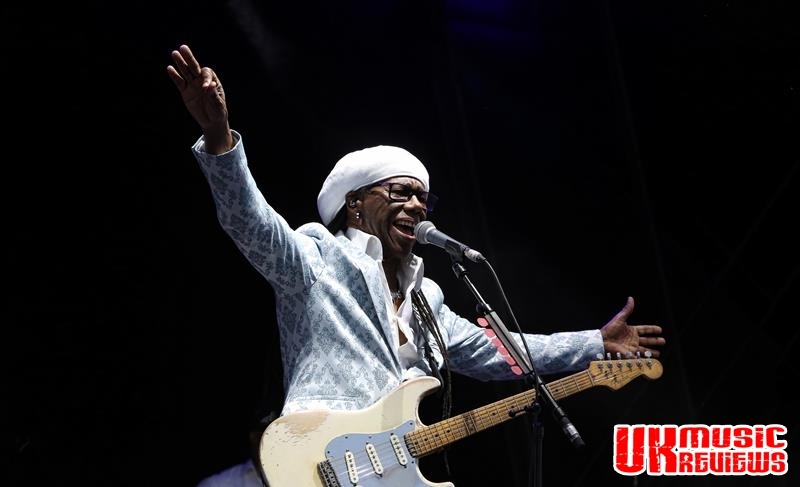 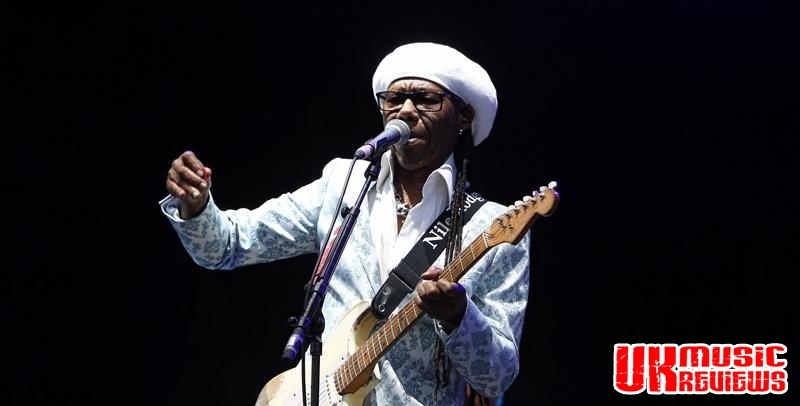 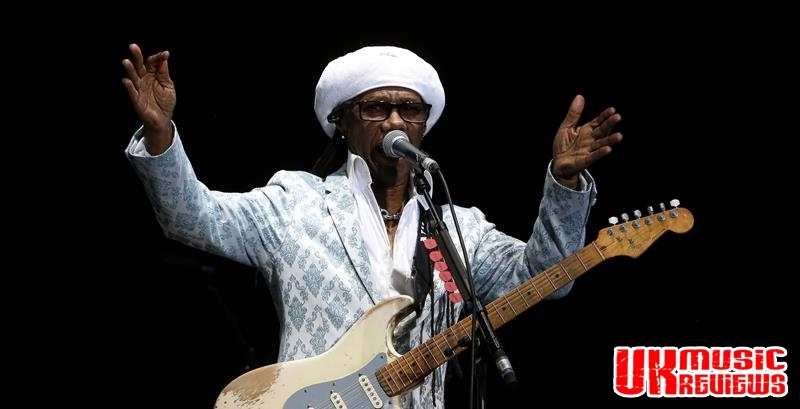 On yet another lovely summer’s evening the usually tranquil surroundings of Belvoir Castle were well and truly disturbed last night as Nile Rodgers & Chic came to entertain a packed crowd with their unmistakable brand of disco music. 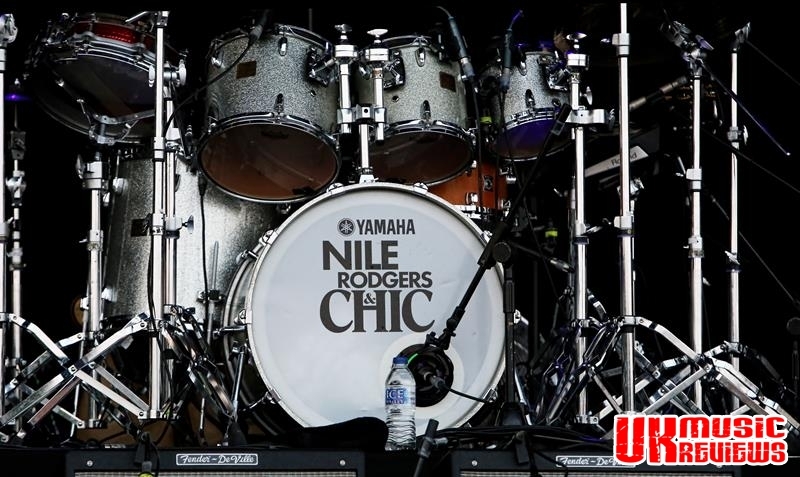 To get everyone in the party mood Pat Sharp did a DJ slot with music that defied the feet to keep still. 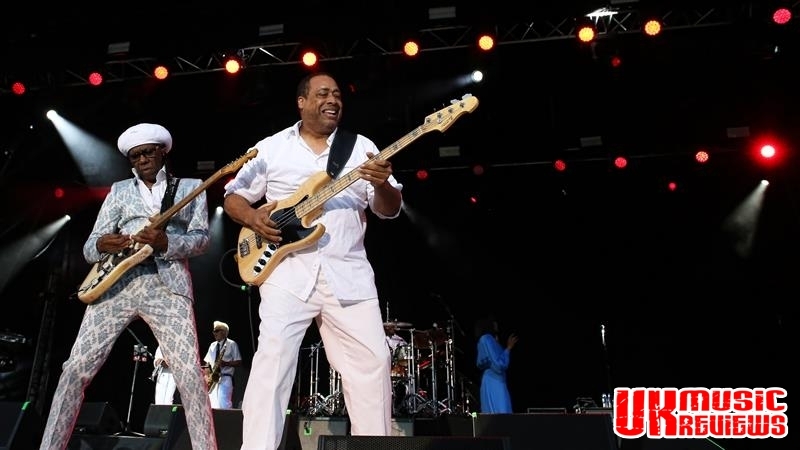 And when the strains of Everybody Dance flooded the grounds, the full Chic ensemble took to the stage. 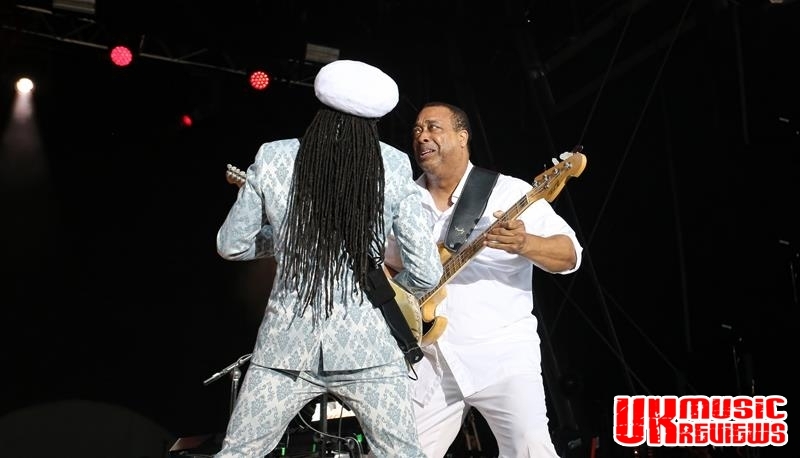 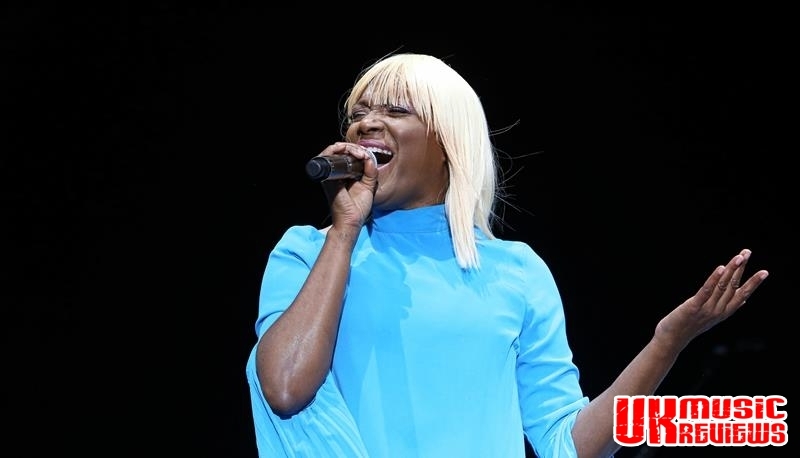 Wearing his trademark white Kangol Bamboo beret, Rodgers and his impressive band notched up the energy with another Chic number, Dance Dance Dance and that is exactly what this crowd did. 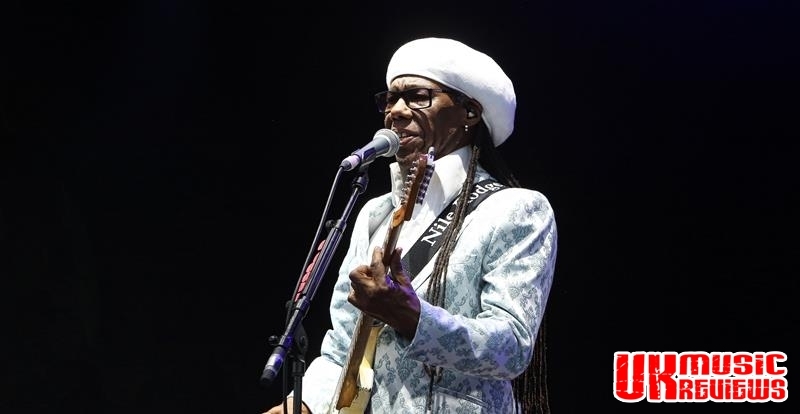 Whilst this record producer, songwriter, musician and arranger who pretty much invented his famous style of guitar playing told the crowd that he had worked with the likes of Madonna, David Bowie, Duran Duran, Diana Ross and Daft Punk to name but a few, the set list quickly became a conveyor belt of hits. 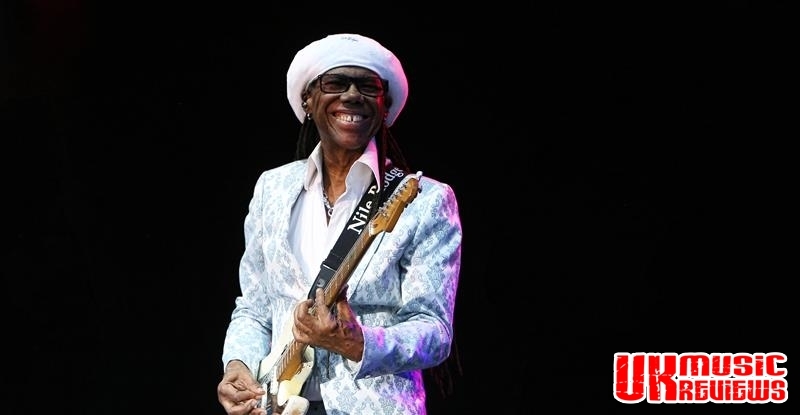 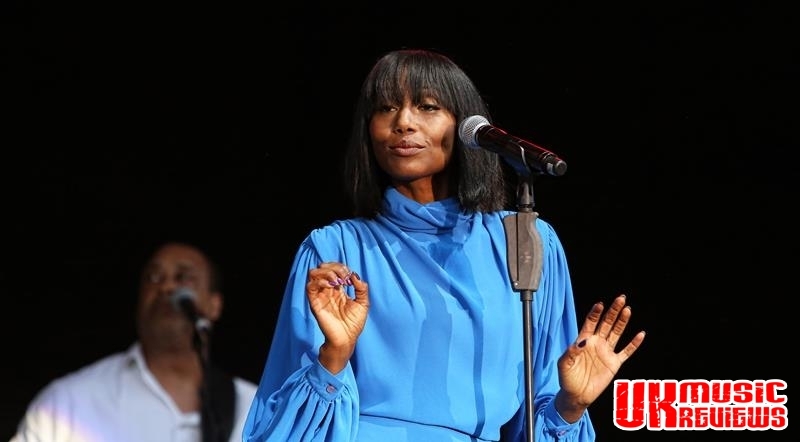 Chic were more than happy to facilitate this flow of classics, rarely ever pausing and leading each in to the next seamlessly as Diana Ross’ I’m Coming Out segued into Upside Down, Sister Sledge’s He’s The Greatest Dancer and We Are Family. 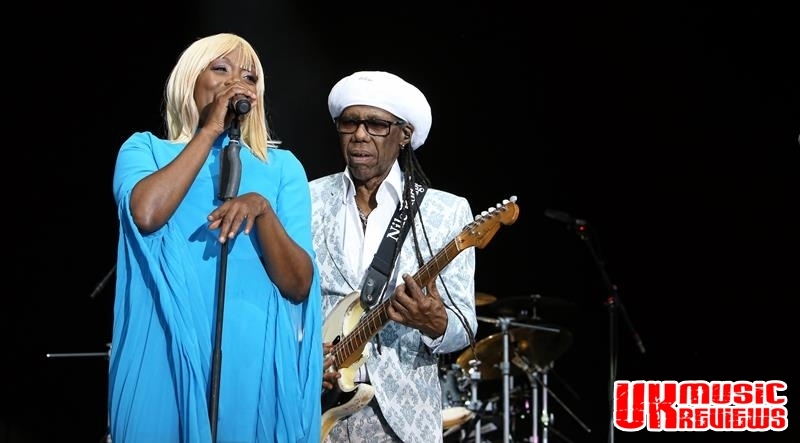 Madonna’s Like A Virgin was given the funk treatment and arguably the best song of the night, David Bowie’s Let’s Dance was a real highlight with its deep funk groove. 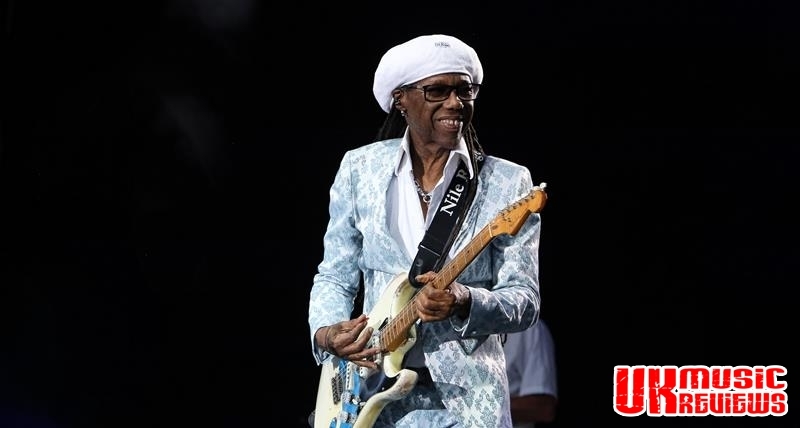 Strutting and side stepping around the stage, it was not hard to see why this 65 year old was awarded the prestigious Chairman Of The Songwriters Hall Of Fame earlier this month. 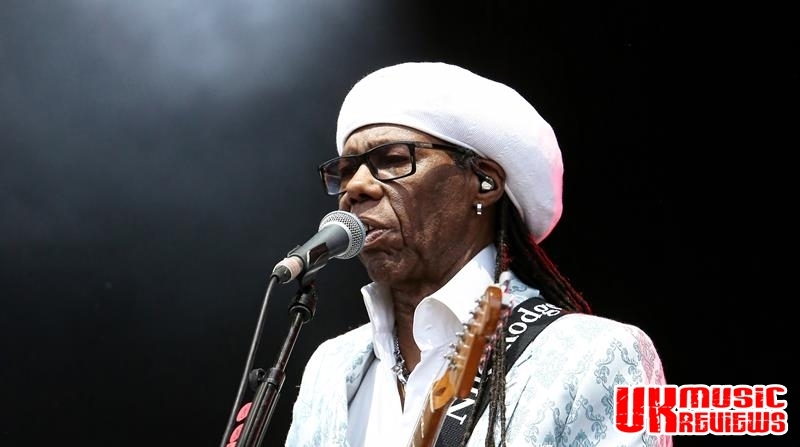 Inviting on stage a group of cancer survivors who had hailed from Loughborough merely sought to remind that Rodgers too had survived aggressive prostate cancer, but it wasn’t a sombre affair as everybody was dancing and singing along. 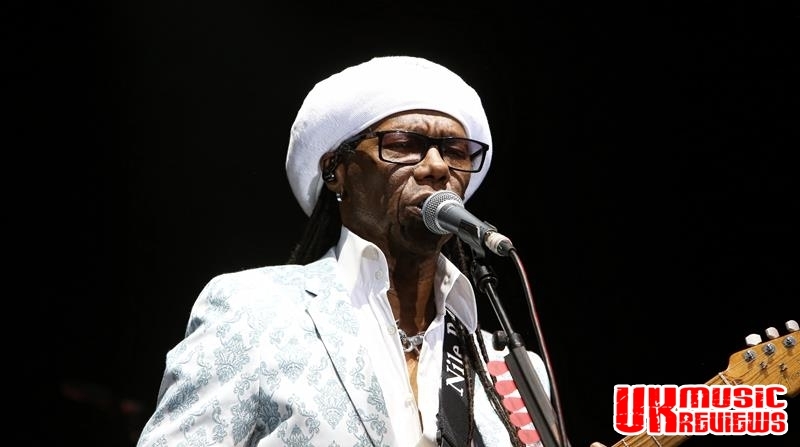 Encouraging the crowd to remember 70s disco they finished the evening with monumental performances of Le Freak and Good Times which finished an evening perfectly crafted for the utmost enjoyment and was perfectly timed to leave this crowd forever wanting more.